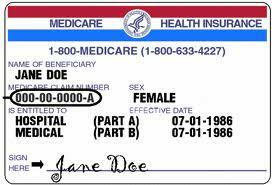 Information about what’s new for MEDICARE 2013 and how the changes will affect MEDICARE beneficiaries will be discussed on Monday, December 3, at 12:30pm, located at the Bridgewater Senior Center. It is a free presentation, but reservations are requested. On Sunday, December 2nd. from 1-4pm, the Bridgewater Business Association, Inc., presents the 19th Annual 2012 Christmas on the Common - the longest running annual Holiday event in Bridgewater. This event is sponsored by the Bridgewater Business Association with the generous help and support of the Bridgewater business community and the Town of Bridgewater. Our 4th Annual Christmas Bazaar has grown so big, we will be closing half the Common down! For the first time in many years, the Bridgewater common will be closed to south-bound traffic on the west side from 11-5 (Mason's Hall side). We'll be featuring over 40 vendors for your holiday shopping in 2 locations: the Mason's Hall and a heated tent on Central Square itself. Bring the family to meet Santa Claus and Mrs Claus and get your photo taken. Pick up your photos at CVS Pharmacy in Bridgewater after the event. Music provided by 103.3 AMP Radio and the Bridgewater Antiphonal Brass Society. Check out the B.R. High School Marching Band and the Hanson Children's Museum will be visiting with their Wild, Wild West activity. We will also be taking toy donations for Toys For Tots with the help of the Marines and Sullivan Tire in Bridgewater. The BBA is proud to state that this event has consistently grown in popularity and attendance since it's revitalization in 1998. 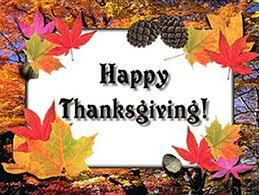 We are thankful for all the help and cooperation we have received over the years from local businesses and our members. Without them, this event, along with our extremely popular Autumn-Fest, would not be possible. 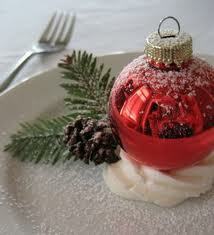 All the net proceeds from Christmas on the Common go towards the BBA Charity Fund. Through the Charity fund, the BBA has donated over $60,000 and helped more than 300 Bridgewater residents since 2006. Through Christmas on the Common, the BBA can continue to assist residents of Bridgewater, especially in these tough economic times, by paying a gas, oil or electric bill to provide needed heat; buy toys for children; or to purchase food during the holidays. The Bridgewater Business Association, Inc. is a non-profit Corporation, originally formed in 1984, devoted to the interests of the business community in the Town of Bridgewater, MA. The BBA Promotes unity between Bridgewater and the business community and is committed to promoting goodwill among business owners, interacting with Town government, and encouraging growth of in-town business. Their website is www.bridgewaterbiz.biz. The Bridgewater Garden Club will hold its annual Holiday Greens Sale on Saturday, December 1st from 9AM to 2PM at the Bridgewater Cole-Yeaton Senior Center located at 10 Wally Kreuger Way. 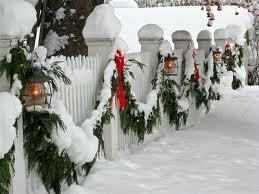 The sale will feature decorated wreaths, arrangements, swags, specialty items, bagged greens and a cookie sale. A light lunch will be served for a small fee. Sales from the proceeds will support the Garden Club Scholarship fund. 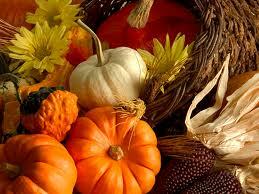 From the Around the Common family to all of our followers and friends, we wish you a Happy Thanksgiving! The Council on Aging Annual Holiday Party will be held on December 5, 11:30am to 2:30 pm at the Cole-Yeaton Senior Center. A Chicken dinner will be served and there will be entertainment provided by Dave Burbank. Please call the Senior Center at 508-697-0929 to sign up. 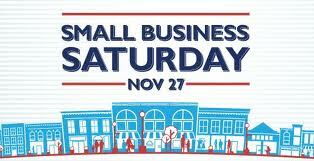 Come support three of your favorite local small businesses. On Saturday, November 24, 2012 from 1-2pm at Russo’s Fine Wine and Spirits, Caylor Kitchen will be selling gift certificates. These makes great teacher gifts, stocking stuffers, and hostess gifts and are available in any amount. Make sure to pick up a bottle of wine to go with it! While you’re there, members from the competition team at Julie’s Studio of Dance will be selling raffle tickets for only $10. The winner will receive $1,000 worth of scratch tickets. All proceeds benefit the competition team. Winner will be drawn on December 17, 2012 just in time for the holiday season. On Tuesday, November 27th, Amy Schram of the Better Business Bureau will present a lecture on “How to Prevent Identity Theft” at the Bridgewater Public Library. The program will begin at 7:00 p.m. The presentation will cover the different tactics that scam artists and identity thieves use to obtain our personal information, the red flags to watch out for and the ways in which we can protect ourselves and our identity. 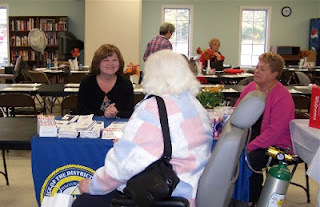 Amy is a Community Outreach Specialist with the BBB. The Better Business Bureau is a non-profit, public service organization which provides free business BBB Reliability Reports, BBB Charity Reports, and other valuable information to the public. This free program will be held in the Flora T. Little Meeting Room on the lower level of the library. Parking is available in back of the library, located at 15 South Street. The Children’s Room at the Bridgewater Public Library with offer “Exploring Music” with Kerry Campbell on Thursday, December 6 from 10:15-11:00 a.m. for ages 2-6 with an adult. 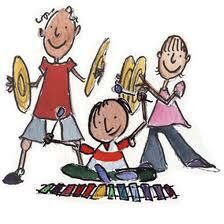 This program includes singing, rhythm games and creative music activities. This program has limited space, so registration is required. Registration begins on November 19 and can be done in person or by calling 508-697-3331. This program is sponsored by the Friends of the Bridgewater Public Library. Join BTV this Thanksgiving in rooting for the Bridgewater-Raynham Regional High School Trojans as they play the Brockton High School at the Rocky Marciano Stadium in Brockton. 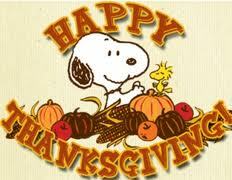 This Thanksgiving BTV is doing a special pre-game show, which will air on BTV onWednesday November 21, 2012 at 8 p.m. The pre-game show will feature interviews with both opposing captains about how they and each of their teammates plan to prep for the game. Traveling for Thanksgiving or just can’t make the game? Fear not, BTV will also be airing the game on Thanksgiving Day at 3 different times; 2 p.m., 5p.m., and 8 p.m.. Additionally the game will be aired again at its normal time at 8 p.m. on the following Monday night. “The Thanksgiving Day game is the biggest game of the year,” Says one student, “We all get really into it and show our school spirit.” Bridgewater-Raynham came out on top of last years game in 2011 with a score of 14-8 and are hoping to bring home another win this Thanksgiving. If you would like to attend the game it is at the Rocky Marciano Stadium in Brockton on Thanksgiving Day at 10 a.m. For any information about the game and ticket information call Bridgewater-Raynham Regional High School before Wednesday November 21, 2012 at 10:30 a.m., tickets can be purchased at the game. For more information about the pre-game show or airing of the game on BTV visit www.btvaccess.com or by calling (508) 697-1833. 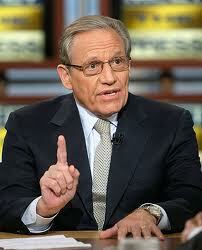 Since 1971, Bob Woodward has worked for The Washington Post, where he is an associate editor. He and Carl Bernstein were the main reporters on the Watergate scandal for which The Post won the Pulitzer Prize in 1973. Bridgewater State University is excited to announce Mr. Woodward's participation in the Distinguished Speaker Series, as this year marks the 40th anniversary of Watergate. Mr. Woodward was the lead reporter for The Post's articles on the aftermath of the September 11 terrorist attacks that won the National Affairs Pulitzer Prize in 2002. In 2004, Bob Schieffer of CBS News said, "Woodward has established himself as the best reporter of our time. He may be the best reporter of all time." Mr. Woodward has authored or co-authored 17 books, all of which have been national non-fiction best sellers, including All The President's Men (1974). His most recent book, The Price of Politics (September 2012), based on 18 months of reporting, is an intimate, documented examination of how President Obama and the highest profile Republican and Democratic leaders in the United States Congress attempted to restore the American economy and improve the federal government's fiscal condition. Mr. Woodward was born March 26, 1943, in Illinois. He graduated from Yale University in 1965 and served five years as a communications officer in the United States Navy before beginning his journalism career at the Montgomery County (Maryland) Sentinel, where he was a reporter for one year before joining The Washington Post. Mr. Woodward will sign copies of his new book,The Price of Politics, following his talk. Admission is free, but reservations are required and are made on a first-come, first-served basis. To reserve your seat, send an email to RSVPPresEvents@bridgew.edu or call 508.531.6123. 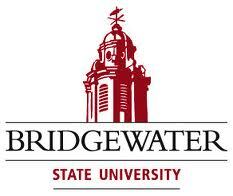 For information about other events at Bridgewater State University, visit www.bridgew.edu. Directions to BSU and a campus map that includes parking areas can be found at www.bridgew.edu/directions.cfm. Are you interested in who will be the next town manager? Town Manager interviews for the finalists will take place on Saturday, November 17th from 9AM to around 4PM at the Bridgewater TV Cable Studios located on Spring Street. 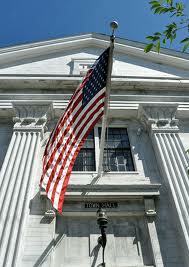 The selection of the next Town Manager will take place on Tuesday, November 27th also at the cable studios. The interviews will be open to the public and the public is invited to weigh in with their Town Councilor with feedback. The interviews will also be aired on BTV for those who cannot attend. The TRIAD program will be sponsoring “Plymouth County Corrections, Then and Now” presented by the Plymouth County Sheriff’s Department. 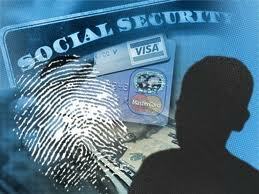 The presentation will take place on Tuesday, November 20, 2012 at 1:00pm at the Bridgewater Senior Center. It will be a look at the history of Plymouth County jails including photos and facts about county corrections through the years. The university will be testing its emergency siren and text message systems on Wednesday, November 14, 2012 at approximately 10:30 a.m. This test is being conducted to ensure that the university's emergency communications systems will work properly in case of an actual campus emergency. The emergency siren is located outside on the roof of the Maxwell Library. People on campus and in surrounding areas can expect to hear repeated siren sounds and a series of loudspeaker test instructions. A text alert and voice message will also be sent to everyone who registered a cellular phone number with the university, as well as all campus phones. We apologize in advance for any inconvenience this may cause. Thank you for your cooperation as we work to maintain a secure environment at Bridgewater State University. Due to the effects of Hurricane Sandy Rotary's annual Citizen of the Year program, originally planned for October 30th. has been rescheduled for Tuesday, December 4th at 7pm. The Grand Sponsor is Bridgewater Savings Bank. For the thirteenth time the Rotary Club of the Bridgewaters will be honoring Citizens of the Year for the Bridgewaters at a ceremony at Bridgewater State University on Tuesday, December 4th at 7 P.M. Tickets can be obtained by contacting event chair Bruce Marquis at 508-378-7890. Each year, Lions Clubs all over the world sponsor the Lions International Peace Poster Contest for students ages 11, 12 and 13. This contest, which began 25 years ago, encourages young people worldwide to express their visions of peace. The theme for the 2012-2013 Contest is “Imagine Peace”. Posters are judged on originality, artistic merit and expression of the theme. The Bridgewater Public Library is currently displaying posters created by students from the Williams Intermediate School: Bailey Cheatham, Alexandrea MacDonald, Brooke Sutterley, Emma Tubberville, Kellie Vernon, Juliana Marchetti, Abigail Fratalia, Michael Ferrini, Jillian Melanson, Jason Ryan, Jocelyn Levenberger, Nora Ann Logiudice, Mackenzie Wolfe, Cameryn Simoes and Isaiah Crayton . Ellyn Gaspardi is the adult coordinator. The local contest is sponsored by the Bridgewater Community Lions. The posters will be available for viewing through the end of November in the library’s Flora T. Little Gallery on the second floor. An Artists’ Reception will be held on Wed., Nov. 14th from 5-6p.m. in the library’s Flora T. Little Meeting Room. A brief overview of the Lions Club International Peace Poster contest will be presented and the local contest winner for this school will be announced at 5:45p.m. Light refreshments will be served. The reception is open to the public and to all the 6th grade artists and their families. For more information please contact Joyce or Martin Middleton at 508-697-6939.